In the past I’ve talked about FAQs as one of the pillars of our strategy for creating content that covers a wide range of search queries relevant to your industry. 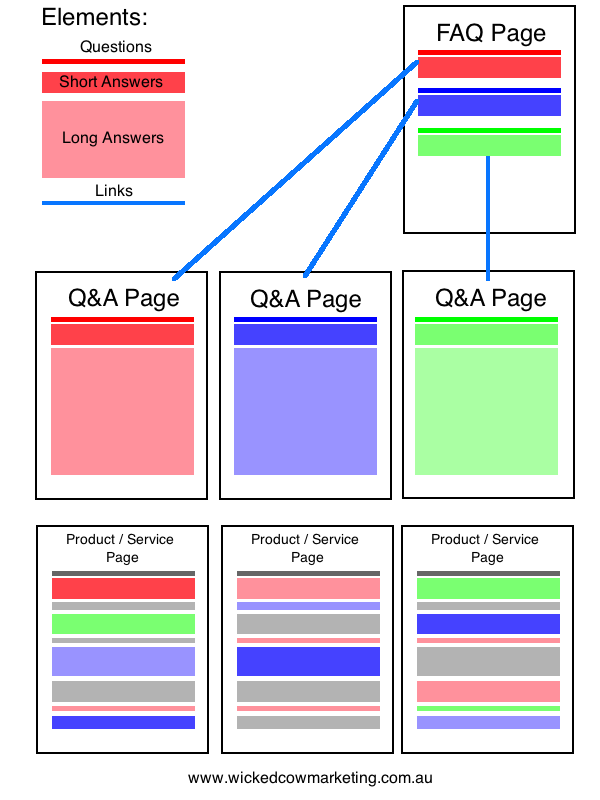 I’ve realised recently that often when I’m talking about ‘FAQs’ people are getting stuck on the idea of the ‘FAQ page,’ which is really only a navigational and quick reference page in the greater content strategy. In this post I’m going to show you how to build a Q&A Content Strategy around the idea of answering customer questions. Get a head start with our free list of 50 Questions to Kick start your Q&A Content Strategy. Click Here. When customers come to your website and are considering whether to buy your products or services, they are obviously going to have questions that they’d like answered. These questions should be mostly covered on the product and services pages (we recommend that you have a separate page for each product and service that you offer) but they can also be repackaged and used in other areas of the website both for ease of navigation and maximum SEO benefit. 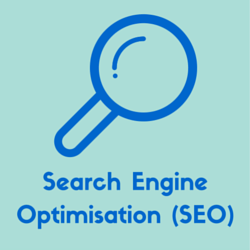 People often type questions directly into search engines when they want an answer so making sure you answer questions related to your products and services will help to attract people searching on the exact questions and looking for related information. These could be fairly general questions from someone who is just starting to research how to solve their particular problem or it could be very specific queries from someone who has a pretty good idea of what they want and is just trying to sort out the finer details or shop around for a provider. You want to capture both types of searcher, and everyone in between, and bring them to your website so they’re exposed to your products, services and brand and you have a chance to capture them as a customer. There are many ways you could structure your Q & A content but here’s an example of a structure which I think works pretty well. Obviously a very important element is the questions themselves. We’ll cover how to come up with questions to answer in the ‘Brainstorming Questions’ section below. If the question can be answered quickly or briefly and that would be satisfactory to many people then prepare answers like this for use on the FAQ page. Prepare long answers where possible. Even if a short answer pretty much covers it, do your best to expand the answer with additional related information. This is where you can categorise and organise the questions and short answers for quick reference. The main objective of the FAQ page is for customer service by providing a quick reference for those interested and as a navigational page for the longer form content. There should be links to the longer form content where relevant. This is where you take the long answers to the questions and put each one on their own page. The question should become the heading and page title of the page and the answer is the main content. The thinking here is that a page dedicated to a particular question is going to be more relevant to someone searching for that question/answer than an FAQ page which answers many questions including that one. All of the questions related to your products and services should also be covered on the product and service pages themselves. This could be naturally within the content or in the form of a Q & A as well. To begin with you can simply link the short answers in the FAQ page to the individual Q&A pages (as indicated in the diagram above) but as you answer more and more questions you’ll have to use a more sophisticated navigation and organisation system. One way to do this would be to categorise and/or tag each answer page and have links to the category pages from the FAQ page and/or your main navigation. Then you can save the FAQ page itself for just the most frequently asked questions (as the name suggests). A really easy way to set this up would be to use WordPress.org which has categories and tags built right in. Another useful navigation element you could add is the ability to search within your answer pages. Now that you’re all set up, you need to research and brainstorm some questions to answer. There’s a number of ways to do this using both online and offline methods. Some of the questions you collect will be closely related to your business and some will be less so. I suggest you start by covering the closely related questions and move out from there. Brainstorming with customer service staff, sales staff, business owner and other people who talk directly with customers in person, on the phone, via email etc. Here’s some examples of questions discovered using some of the sources above. Type your keywords and a question mark. You might have to scroll a bit as many of the tweets are promotional and not real questions. You’ll need to create an account first but that’s pretty easy. 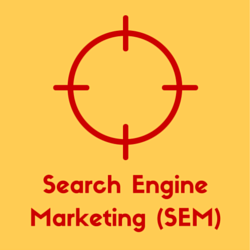 Then simply enter a keyword related to your business in the search box and start collecting questions. You can try simply entering a keyword, which will bring you topic ideas which you then have to adapt into questions. Alternatively you can start with a ‘question word’ such as ‘how,’ ‘when,’ ‘what,’ etc. This method will help you to uncover topics, which you need to then adapt into questions, rather than the actual questions themselves. 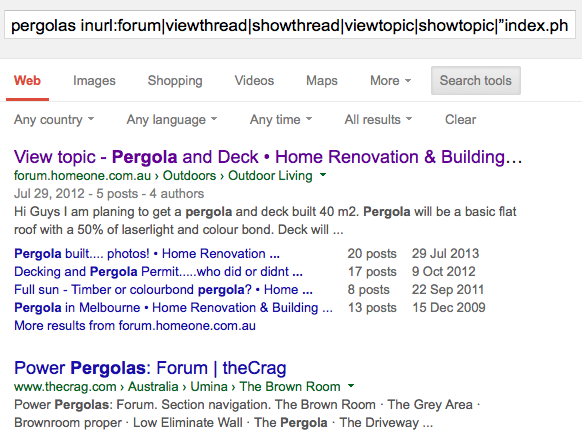 Simply type a search into Google, scroll down the bottom and look for the ‘Searches related to <keyword>’ section. Then, you can click on each of the suggestions and open those in new pages and repeat the process to the searches related to those keywords as well, and so on. 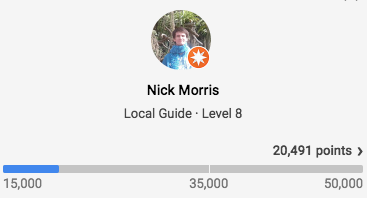 Google used to have a handy discussion search feature but unfortunately they disabled it earlier this year. 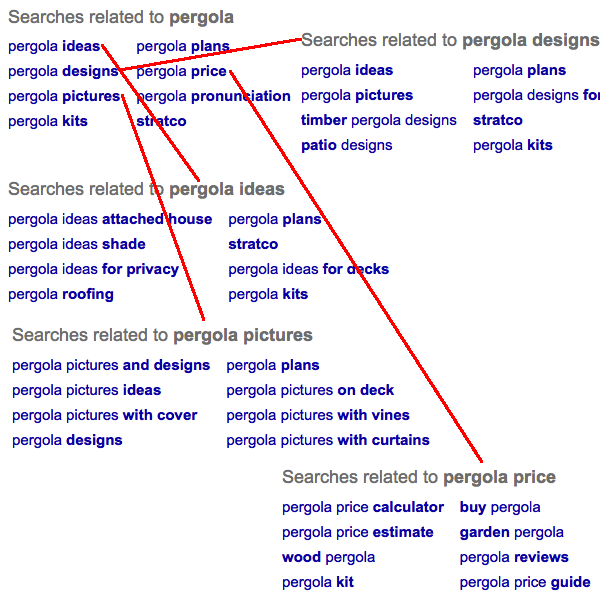 Luckily we can still search for these types of results using advanced search operators. Simply type on your keywords followed by this text string: [inurl:forum|viewthread|showthread|viewtopic|showtopic|”index.php?topic” | intext:”reading this topic”|”next thread”|”next topic”|”send private message”] (remove the square brackets from either end). 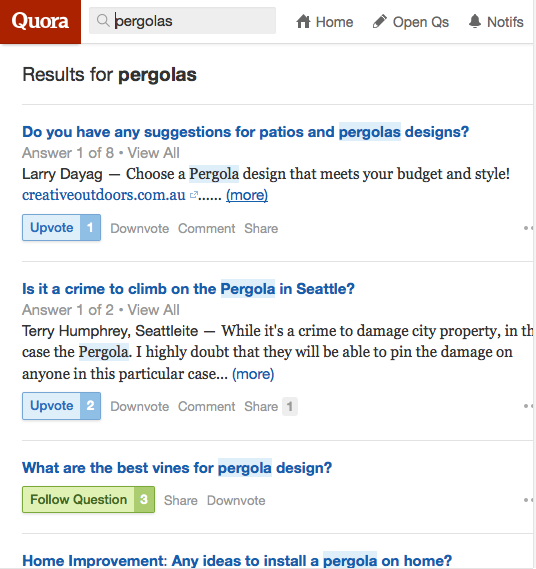 Similar to Quora, this is a community of people who ask and answer questions. 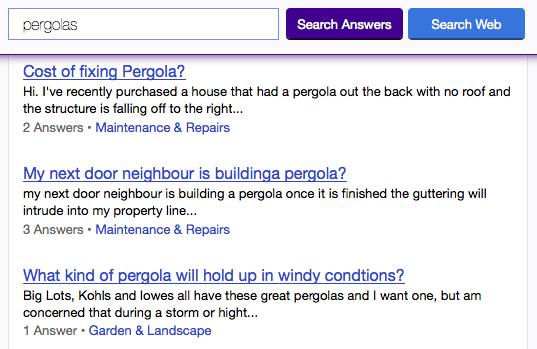 Simply open up Yahoo answers and search for your keyword to find related questions. Answering customer questions is a simple and effective content strategy which will help both your Search Engine Optimisation and your conversions. Don’t make the mistake of getting stuck at the FAQ page, push through and answer as many questions as possible to make your website a beacon of useful information in the sea of the sales copy of your competitors. Subscribe to our mailing list using the form below to receive a bonus PDF with 50 Questions to Kickstart your Q&A Content Strategy.